Some of you may have noticed the addition of the Two Ways to Live Gospel presentation link on the blog's right panel. It has been included on the homepage of Immanuel Baptist Church (where I serve as an elder) for quite some time. In the New Testament, the word 'gospel' usually refers to the proclamation of Jesus Christ crucified. It is the announcement that God's kingdom has arrived in the person of his Son, the powerful Messiah, who inaugurates his worldwide reign by dying and rising again so that repentance and forgiveness can be preached to all nations. This Jesus Christ now rules at God's right hand, from where he will come again to judge. In other words, Jesus himself is the focus of the Christian message or 'gospel'. However, Jesus does not arrive in a vacuum. He arrives as the culmination of God's plans, and their outworking in history. He comes and dies and rises, "according to the Scriptures". He arrives in the context of all that God has already revealed about himself and humanity. All this is part of the background or 'worldview' that the biblical authors took for granted, but which many modern (or postmodern) people do not share. If we are to know and tell the gospel in a world where these basic assumptions about God and human guilt are no longer shared, or even common, then we need to fill in some of the rest of the story. We need to provide some of the background. In short, the good news of Jesus Christ is virtually incoherent unless it is securely set into a biblical worldview… In the last few years, several evangelistic tools have been created that are far more sensitive to the Bible's 'story line'. The first of these to be prepared is still one of the most effective: Two Ways to Live presents Christ in six steps, the six steps offering, in contemporary English, something of the Bible's plot-line as the necessary framework in which to understand the gospel. Pay attention to the Comments following each article as well, where you will find interactions between Dr. Witherington and Jon Zens, one of the leading figures of the House-Church Movement. I think it worth pointing out, by the way, and think you will soon discover, that Zens has some good points of his own to make in rebuttal. Dr. Witherington has also reproduced Howard Snyder's Review of 'Pagan Christianity' at his blog. I hope you find these posts and comments helpful in sorting through the issues. P.S. As far as a thorough response to the book goes, I still think the best guy for the job is James White. Many of the blog's readers know of my recommendation of e-sword and of the many e-sword resources I have made available at Pastor Throop.com (Just click on the 'Select Category' drop-down menu). But today I would like to let you all know about a couple of other nice websites for e-Sword. First, there are a number of good modules available at Robert Hommel's Original Language Library page. These include a number of Hebrew, Aramaic, and Greek modules. And, for you really hard-core original language types, there are even modules in Latin, Syriac, Coptic, Gothic, and Ehtiopic. Second, for those who would like to have e-Sword available without downloading the whole program, there is e-Sword Live. Although it doesn't yet include most of the resources, it does promise to be an excellent online Bible study application and does currently offer basic word study capability. 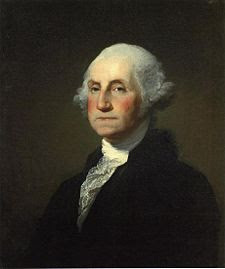 Almighty God, we make our earnest prayer that Thou wilt keep the United States in thy holy protection, that Thou wilt incline the hearts of the citizens to cultivate a spirit of subordination and obedience to government and entertain a brotherly affection and love for one another and for their fellow citizens of the United States at large. And finally that Thou will most graciously be pleased to dispose us all to do justice, to love mercy, and to demean ourselves with that charity, humility, and pacific temper of mind which were the characteristics of the Divine Author of our blessed religion, and without a humble imitation of whose example in these things, we can never hope to be a happy nation. Grant our supplications, we beseech Thee, through Jesus Christ our Lord. Amen.